Naruse Inokuma Architects, a Japanese architectural firm designed Share House LT Josai, a residence with shared living areas. The trend of communal living is very popular in Japan, encouraging the youth to gain their independence without actually buying a new place of their own. Shared living means dividing responsibilities within the home. It functions more as a community centre than a private residence, facilitating human interaction. In spite of sharing the same water systems, living room and entrance hall, each resident has access to private rooms. 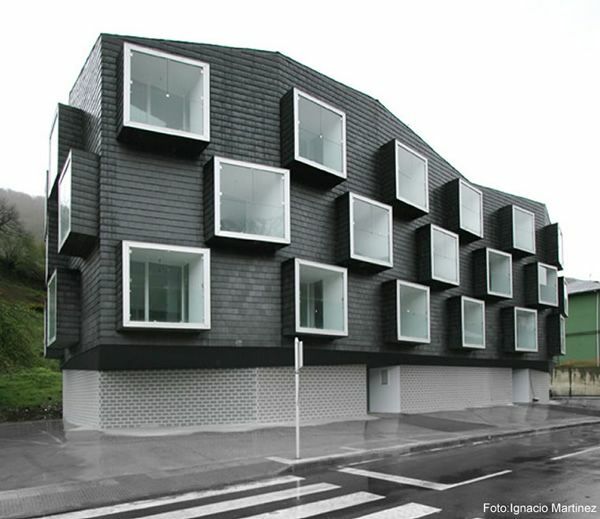 Unlike most of the shared-housing projects, adapted from existing properties, LT Josai is a newly constructed building. The architect explains that “the shared and individual spaces were studied simultaneously and, by laying out individual rooms in a three-dimensional fashion, multiple areas, each with a different sense of comfort, were established in the remaining shared space”. The venue features 13 identical private bedrooms distributed across all three levels of the house. The common areas were envisioned as spaces for eating, cooking, relaxing and last, but not least, conversation. Probably the most relaxing shared space in the house is the rug area, strategically placed at the first floor. People gather here often to share stories and unbend.